The wheel bearing assembly in your car supports the wheel and helps it rotate smoothly. Since the wheel bearings are a moving part, they will experience wear and tear from friction and constant motion. Anytime the wheel bearings develop a fault or if they are damaged, you will notice several symptoms which should alert you to wheel bearing damage, including a vibrating steering or grinding noises. 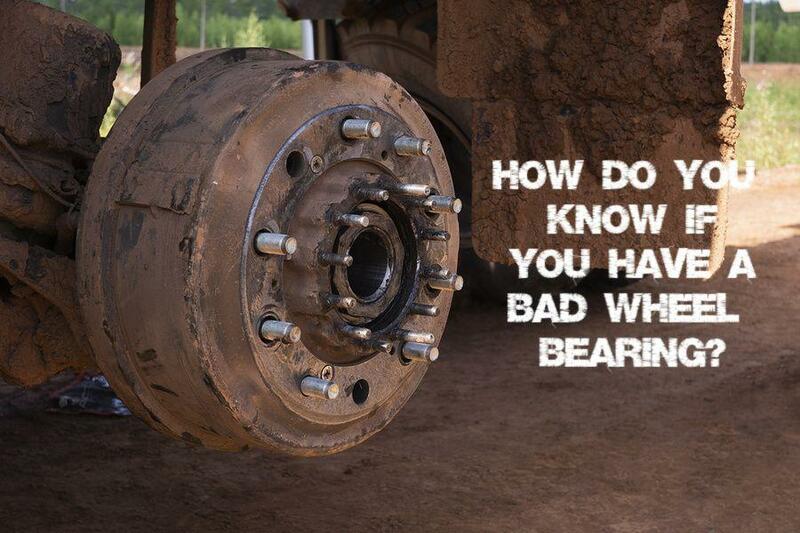 If you find that your wheel bearings are damaged or worn out, they will have to be replaced. As mentioned above, the wheel bearings of your car are a moving part. The car wheels are attached to a hub which consists of a set of lubricated wheel bearings that allow the wheels to rotate smoothly. The lubrication helps in reducing friction which could otherwise generate excessive amounts of heat. However, this constant movement can damage the wheel bearings – debris can enter the wheel bearings, they can become loose, or the damage can be due to wear and tear caused by friction. If the wheel bearings are damaged and they are not replaced in time, it can lead to the car wheels coming off. We don’t need to illustrate what can happen if the car wheels come off when you are cruising at high speeds. We also don’t want to discuss being stranded on the side of the road in a Tucson summer – that would be very unpleasant. The best way to reduce the risk of any kind of car trouble is to ensure you take your car for regular servicing. It is equally important to know and recognize the signs of car problems – it can save you a lot of potential car trouble and repair costs. Damage to your car wheels from uneven wear and tear can happen due to a number of factors, including faulty or damaged wheel bearings. It’s crucial to know that damaged wheel bearings will not cause uniform levels of tire wear. You might notice that uneven wear is more pronounced with one wheel – if this is the case then chances are it could be due to a faulty wheel bearing on that wheel. It is also important to know that wheel bearings are replaced for the same set of wheels on one axle – it cannot be replaced for just one wheel. If the wheel area of your car is generating a lot of loud grinding noise, you should get your wheel bearings checked out as soon as possible. Wheel bearings are heavily lubricated to prevent damage from friction. So, any loss of lubrication can generate excess heat leading to the grinding noises. This usually happens with one wheel. The noise you might hear will be like metal grinding on metal which will get louder as the car accelerates. Don’t wait if you hear this noise – visit your car repair service as soon as possible. If you find your steering vibrating, it could be due to a damaged wheel bearing. You will notice the vibration when the car is running at low speeds as well as when you accelerate. It’s helpful to know that steering vibrations can happen even when your tires are damaged or worn out. However, the key difference between the two is this: if the vibration is due to tire wear and tear, you will notice the vibration at high speeds. A vibrating steering wheel under any condition is dangerous – keep in mind that whether it is at low speeds or high speeds, if your steering is vibrating, it can affect the response time of your car to any maneuver you make. A damaged wheel bearing should be replaced as soon as possible. If the components which are responsible for securing the wheels to the car are damaged, it compromises wheel safety and can put you and your car at risk. If you suspect you might have a bad wheel bearing, consult with a professional technician and have the wheel bearings replaced. Have you noticed any of the above-mentioned symptoms of wheel bearing damage? If yes, we can help.